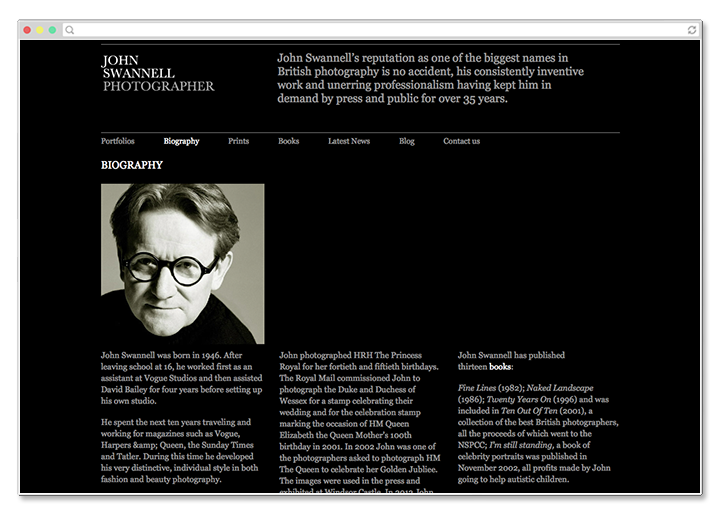 John Swannell is one of the biggest names in British photography. 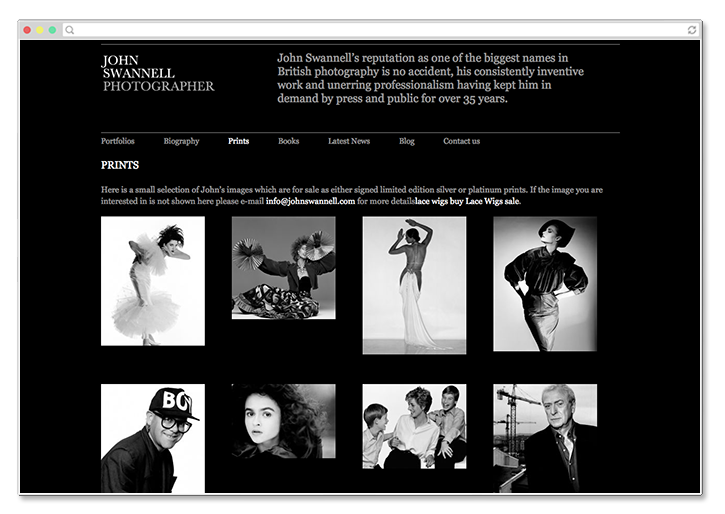 A former assistant of David Bailey, his distinctive style has been in demand for over 35 years. 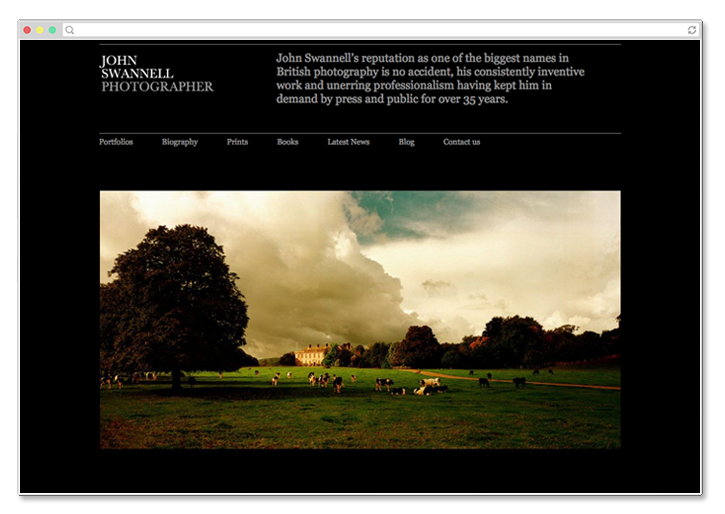 John’s work has appeared in Vogue, Harpers & Queen, the Sunday Times and Tatler. 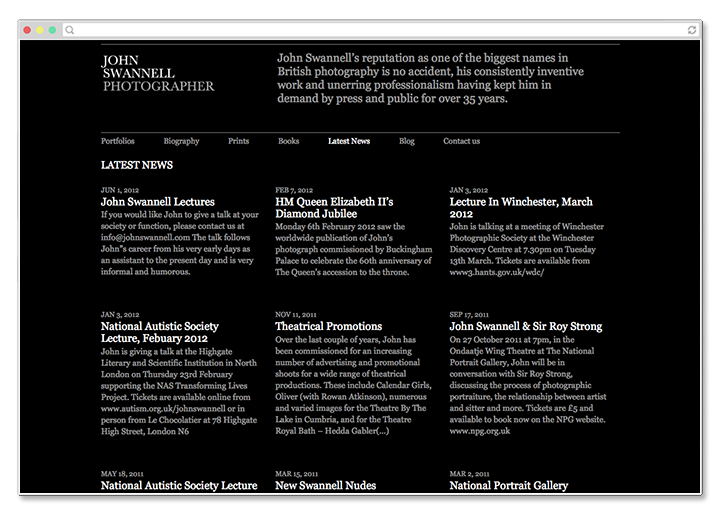 We were briefed to create a website that would showcase his iconic images but not overpower them. 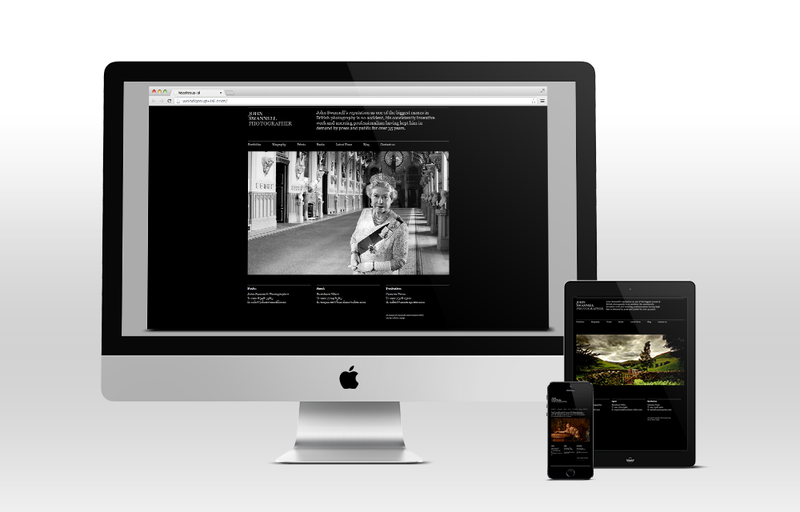 Our solution is a simple, elegant design that is built on a responsive framework. Meaning it’s optimised for both desktop and mobile devices.